Now that has be the oddest title yet for one of my blog posts. But there is indeed a mole rat and an eye patch! 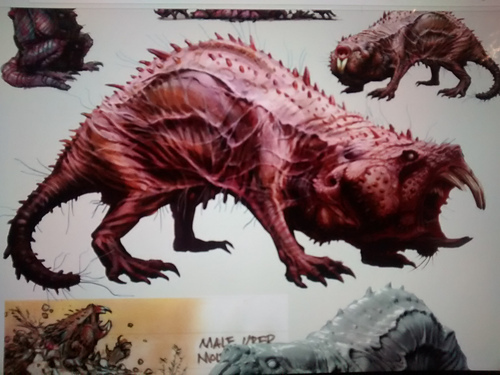 (Image from the Fallout 4 artbook) it’s a mole rat. 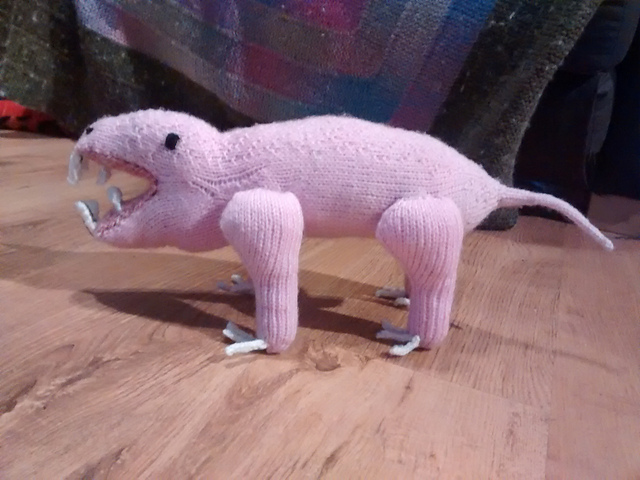 More specifically, the mutated, diseased mole rats found in the computer games Fallout 3 and 4. These are awesome open world games full if all kinds of horrors, set in a post nuclear 1950s-esque world. Engel loves the game. He’s pumped a crazy number of hours into both of them to, and he demanded I make him one. 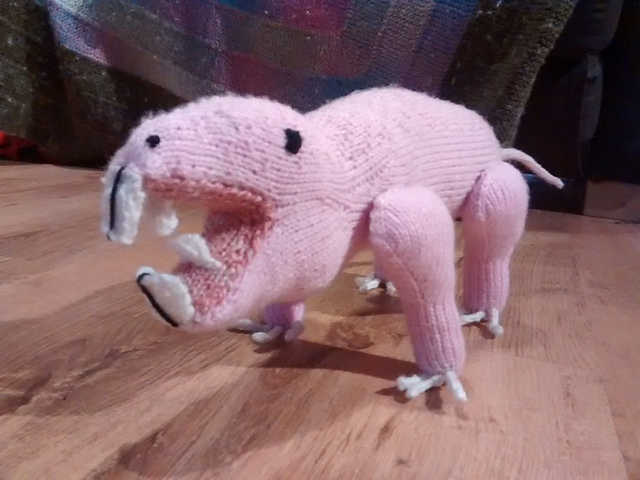 I butchered the pattern ‘Mole’ from ‘Knitted Woodland Creature’s’ by Susie Johns for this one. I also kept extensive notes (for me) on what I did to if I ever make another – it’s on my Ravelry project page. Engel is delighted with it, so job done. Though he wants it to wear a little belt with mines on it…it’s a Fallout 4 thing. So, something ugly, now something cute. Free Ravelry download pattern ‘Scurvy Eye Patch‘ by Cistabel Seneque. Before Felix was born, Engel obtained a toy cat that, after some joking around, was called Captain Morgan of the seven sofas! Cue a few years down the line and Felix acquired Morgan. 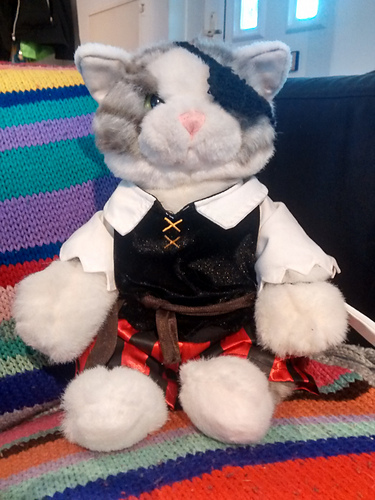 We told her of his mighty adventures as a pirate Captain and she demanded he had an eye patch. So we dug one out. Next day she lost it. Was very upset and wanted him to have another. That mole rat is…pretty unpleasant. As someone at my work so elegantly put it ‘its ‘fugly”. Captain Morgan though, adorable all round!